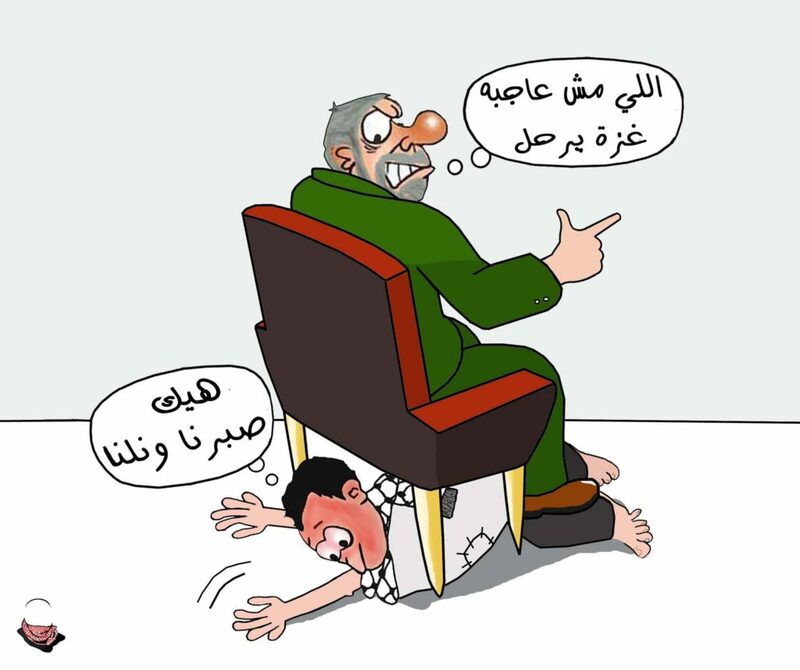 CRNI has received word that a cartoonist has been arrested in Gaza. Friends of Ismael al Bazem witnessed Hamas authorities entering and inspecting his home before taking him into custody. The apparent pretext is this cartoon, in which the seated figure says “If you do not like our governance you can leave Gaza” and the figure beneath says “Hope I can”. We await further details on al Bazem’s whereabouts and confirmation of his wellbeing.